Brian is responsible for all curriculum issues, teacher development and the e-Learning Strategy and all assessment issues (including oversight of the National Senior Certificate examinations, ongoing Senior Certificate, ABET examinations and other assessments). He is also responsible for the WCED e-Vision and the roll-out of e-Learning and e-Teaching in Western Cape schools. Driving the Western Cape Government eLearning Game Changer. 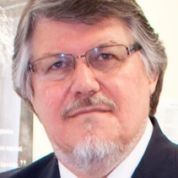 Brian has served and still serves on various Boards, including South African Certification Council (SAFCERT), UMALUSI (Council for Quality Assurance in General and Further Education and Training) and the Interactive Science Foundation which governs the Cape Town Science Centre. His experience includes Physical Science teacher (17 years), Superintendent of Education (Circuit Manager and Curriculum Adviser combined), Area Manager (Wynberg Education District), Director: Curriculum, Chief Director: Education Planning, Deputy Director-General: Education Planning and Development and currently Deputy Director-General: Curriculum and Assessment Management. He is an avid sportsman, having played 1st team Rugby, Cricket and Tennis at school. He continued to play league Cricket and Tennis competitively for many years and is now a keen Golfer (playing occasionally as time permits! ).